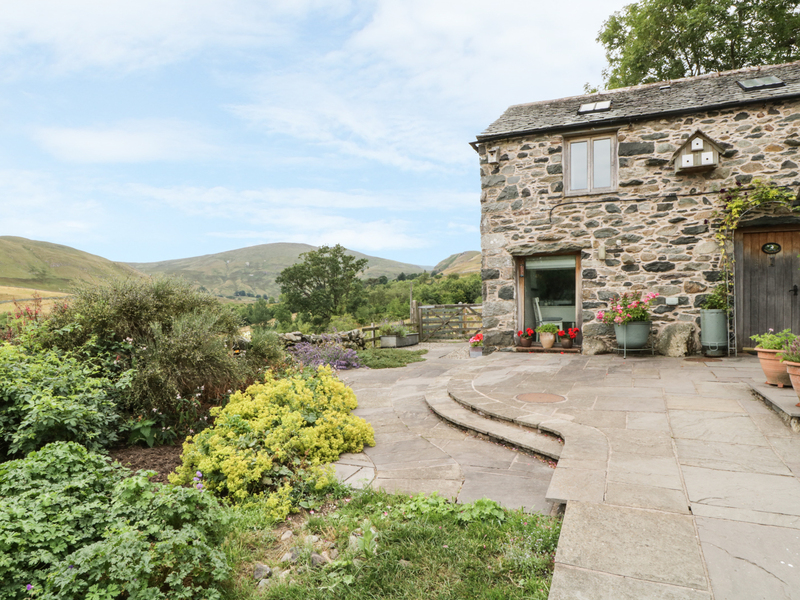 Swallowdale is a barn conversion on private farmland overlooking the neighbouring fells of Matterdale. The cottage sleeps two people in its one bedroom, a double room with king size bed with a character bathroom with freestanding bath. The ground floor has a kitchen and a large sitting room with floor to ceiling glass entrance door and windows. Outside offers access to the owner's fields, with bench seating and a small garden area and off road parking for one car. 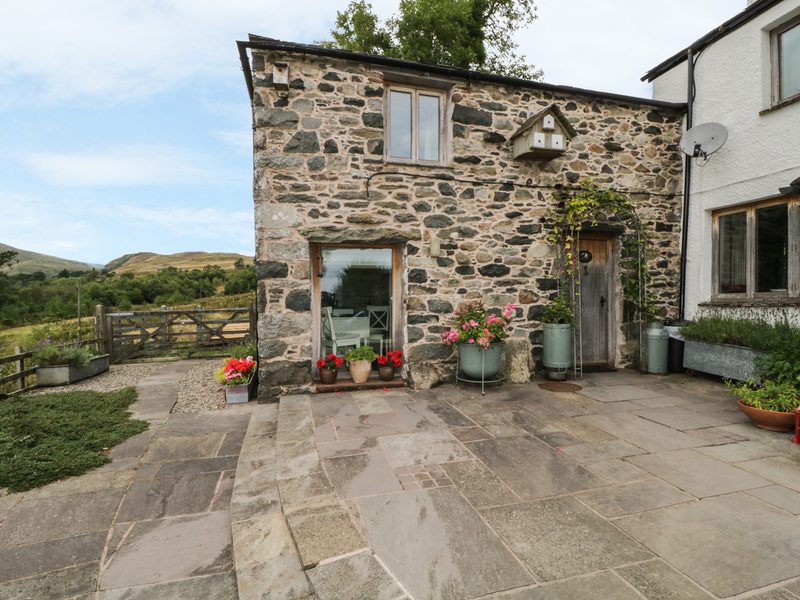 Located on the hillside of the Matterdale countryside, this beautifully finished barn conversion is just a short walk from the Aira Force waterfall. A delightful retreat for couples. Underfloor heating and wood burning stove. Electric oven and hob, microwave, fridge, freezer dishwasher, washing machine, TV, Wi-Fi. Bed linen and towels inc. in rent. Private parking for 1 car. Small garden with bench seating. Access to owner's fields. One well behaved dog welcome. Sorry, no smoking. Pub 15 minute walk. Waterfall 10 mins walk. Note: Max 2 adults.